Are you having trouble choosing between two hearing aid styles? Are you unsure which model will be best for your condition? The hearing care providers at Sound Advice Hearing Aid Centers want to make sure you are comfortable with your device. In our Dover office, we can diagnose the extent of your hearing loss in our lab and recommend a range of devices for your condition, answering each of your questions to help you choose your device with confidence. Call or visit to speak with a specialist today! Merge onto US-13 S / S Dupont Boulevard. Turn left onto the DE-1 ramp. Keep right at the fork, follow signs for Delaware 1 S / Dover. Take exit 97 for Puncheon Run Connector toward U.S. 13. Continue onto Puncheon Run Connector. Take a sharp right onto US-13 N (signs for Dover). Our offices are on the right side of the street (just past Laurel Drive). Merge onto DE-12 E / Frederica Road. Turn right to continue onto DE-1 N.
Take exit 95 for Delaware 10 toward Dover / Camden. Continue onto S Bay Road. Slight left toward Puncheon Run Connector. Slight left onto the ramp to U.S. 13. Head east on DE-44 E / Hartly Road. Take a slight left onto DE-8. Slight right onto Forest Street. Slight left onto Loockerman Street. Take the third right onto S Governors Avenue. Turn left onto Wyoming Avenue. Turn left onto US-13 N.
© 2019 Sound Advice Hearing Aid Centers. All rights reserved. 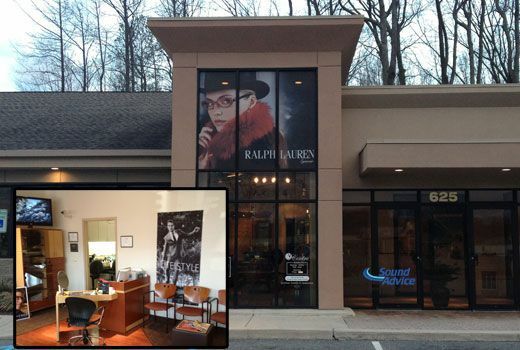 The trademark “Sound Advice Hearing Aid Centers” is owned by Lifestyle Hearing Corporation (USA), Inc. d/b/a AMG.